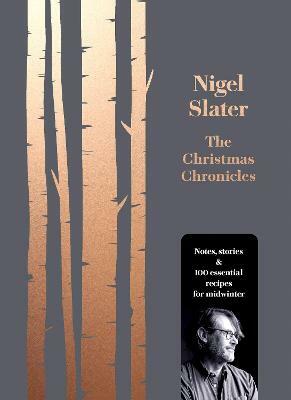 Nigel Slater fans will love this bestselling classic recipe book, packed full of simple but tasty dishes. 'This is real cooking. The roast potato that sticks to the roasting tin; the crouton from the salad that has soaked up the mustardy dressing ... these are the things that make something worth eating. And worth cooking' Nigel Slater Nigel Slater's sumptuous recipes are not about making fancy stocks and sauces or perfecting spun-sugar baskets. They are about using the best quality ingredients to make food that is a joy to eat. Freshness, simplicity and flavour: these are what count for Nigel Slater in the easy-to-follow and deliciously satisfying meals contained in Real Cooking. Nigel Slater is the Observer's food writer, writing a month column for Observer Food Monthly. Real Fast Food was shortlisted for the Andre Simon Award while The 30-Minute Cook was nominated for both the Glenfiddich and Julia Child Awards. In 1995 he won the Glenfiddich Trophy and he has twice won the Cookery Writer of the Year Award as well as being named Media Personality of the Year in the 1996 Good Food Awards. His other bestselling books include Real Fast Puddings, Real Food, Appetite and The Kitchen Diaries. Nigel Slater is the author of Real Fast Food, Real Fast Puddings, The 30-Minute Cook, Real Food, Appetite and The Kitchen Diaries. Real Fast Food was shortlisted for the Andre Simon Award while The 30-Minute Cook was nominated for both the Glenfiddich and Julia Child Awards. In 1995 he won the Glenfiddich Trophy and he has twice won the Cookery Writer of the Year Award as well as being named Media Personality of the Year in the 1996 Good Food Awards. He is the Observer's food writer and he writes a monthly column for Observer Food Monthly.